Without taking the ice, the Sharks clinched a playoff berth Monday night. San Jose officially qualified for the postseason thanks to the Los Angeles Kings' 3-1 win against the Colorado Avalanche. 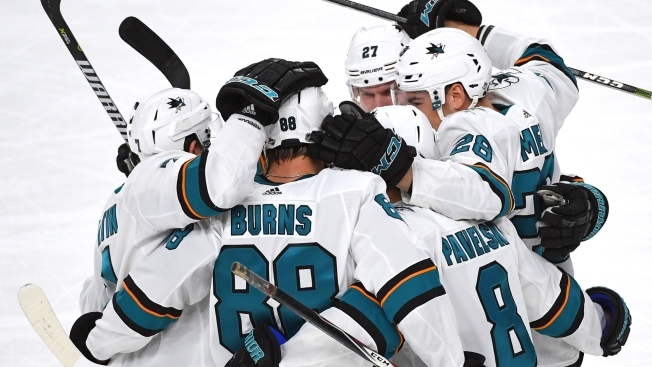 The clinching marks the third consecutive appearance under head coach Peter DeBoer, and the Sharks' 18th playoff berth in the last 20 seasons. Only the Detroit Red Wings have made as many trips to the postseason during that span. Their spot now secured, the Sharks still have seeding on the line. The Sharks are two points ahead of the Kings in second in the Pacific Division, with a game in hand, and can clinch home-ice advantage with two wins in their last three games. They can take their first stride with a win on Tuesday, when they host the Dallas Stars at SAP Center.